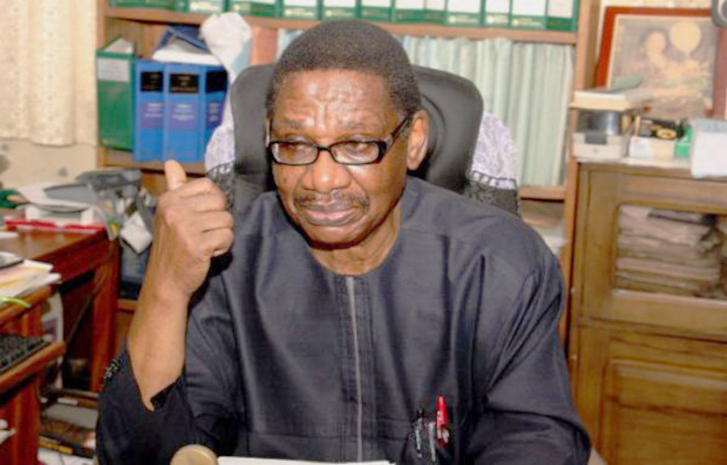 Chairman of the Presidential Advisory Committee Against Corruption, PACAC, Prof. Itse Sagay has stated that a former Vice President, Alhaji Atiku Abubakar, was no threat to President Muhammadu Buhari as far as the 2019 presidential election is concerned. While President Buhari picked the presidential ticket of the ruling All Progressives Congress, APC, unopposed, Atiku, a former Vice President, defeated 11 other aspirants to become the flag bearer of the Peoples Democratic Party, PDP. Sagay told Independent that there was no comparison between Atiku and President Buhari because Atiku has no records to run with except making promises, which he may not fulfil if elected president. “We also have the social investment programme, which monies recovered from corrupt people are being applied for the improvement of the lives of the most vulnerable members of the public. The economy is going up; oil subsidy fraud has been eliminated. “The Boko Haram militants have been seriously decimated, I can go on and on. Talking of records, former Vice-President Atiku has nothing to run on except the words of his mouth. So, there is no basis for comparison between the two. “Yes, he said he will restructure Nigeria within six months if elected president. To me, that is a good campaign point. It is good but there is no evidence that Buhari will not ascent to any form of restructuring even though he is not so positive about it”. “If you read the report of the party’s committee on restructuring, the one headed by El-Rufai, it is clear and very strong. So, the APC is committed to restructuring too and so, it is not an advantage for Atiku”.